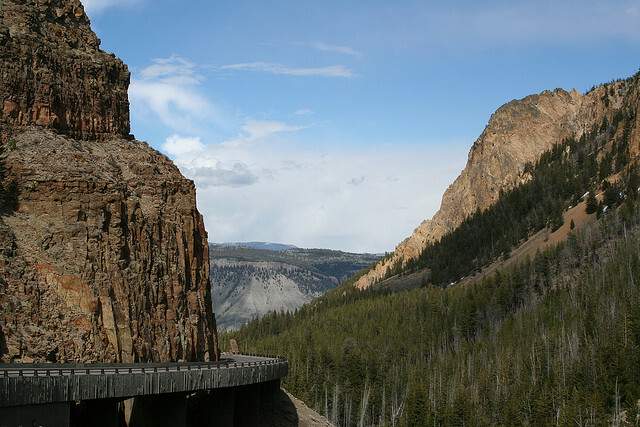 Yellowstone National Park Insider Tips – Yellowstone National Park was established in 1872 and is the world’s first and probably the best-known national park. Designated a UNESCO biosphere reserve in 1976 and World Heritage Site in 1978, the Yellowstone Park is a melting pot of natural environment, specific climate, unique animal and plant life as well as iconic historical sights and long-lasting human imprint. 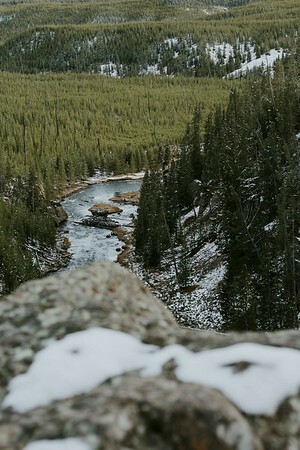 The breathtaking scenery and otherworldly beauty are attracting even today more than 4 million visitors annually, making the Yellowstone park one of the best-visited parks in the world as well. And, for a reason; Yellowstone National Park offers over 2 million acres of untouched nature, rugged wilderness, abundant wildlife, and countless geysers and thermal features. Because of the park’s size, Yellowstone is divided into different regions, across three states. Each area has different habitats that include geysers, fumaroles, and other geothermal features. There is also a canyon, a lake, and numerous limestone terraces, all of which is filled with abundant wildlife and endless natural beauty. Because there is so much to see, it can be hard to establish a Yellowstone visiting plan. Sure, you can read some tourist guides, or even pay for a research paper to gain as much information as possible regarding the Yellowstone park, but they usually present the standard Yellowstone visiting practices. However, we have gathered some insider tips and sights recommendations that might help you create the best visiting route and have you experience Yellowstone at its best. The Grand Canyon of Yellowstone is a must-see. The breathtaking and almost overwhelming beauty of the colorful canyon with walls over 1,300 feet high will leave anyone in awe. One can see the Yellowstone River making its way through the canyon, while the two waterfalls tumble down into the canyon, creating a heavenly sight one would assume is only for the Gods. The canyon area feels like our planet is trying to put all of its beauty in one single scenery, showing us humans how massive and scary, but at the same time, gentle and homely a place can be. The canyon area can be visited any time, regardless of the season. However, if one is a big fan of exciting hikes, glorious sceneries, and mesmerizing colors, I would recommend visiting in the late summer or mid-autumn for the best experience, which would be late August and September. A lesser-known attraction of the Yellowstone National Park are the Mammoth Hot Springs. Located in the Northern-Range, the hot springs offer an insight into a spectacular nature and amazing winter wildlife watching opportunities that one cannot miss. As you can imagine, the hot springs are usually the best to visit in the winter because of the excellent ski trails and of course, the hot springs. During the day, it is recommended to go skiing, explore the Lamar Valley wildlife or the Norris geyser basin; and in the evening, to relax at the Mammoth Hot Springs cabins. If one is not a big fan of the winter, the Mammoth Hot Springs are great in the autumn as well; there is an excellent camping ground at Mammoth where you can enjoy looking at the starts or the elk herds, not far from the camp. This is an entirely unique experience because there is less of the crowd and you are one with nature, far away from the modern and hectic life. Yellowstone National Park is not just a natural sight with breathtaking sceneries; it is also a significant historical sight essential to the American identity. The Roosevelt Arche, for example, is located in the North Entrance town of Gardiner, Montana. It was dedicated and named after President Theodore Roosevelt in 1903. This is the undoubtedly best way to enter the park, take an awesome photo and spend a few moments thinking about the history of this place. On the other hand, there are the Roosevelt park lodges, as perfect time-traveling to the Old West. This is an excellent way to experience a ride in a stagecoach or a horse and enjoy a taste of a Wild West Adventure. Not to mention the Old West Cookout and the outstanding dinner options; we would recommend ribs at the Roosevelt Lodge Dining Room. The wildlife at the park is the most active in the early morning, so if you’re eager to see the elks and other animals, make sure to rise and shine and experience the sun bringing to life the whole Yellowstone area. Not to mention that this way you will beat the crowds and get to enjoy hiking, trails, and geysers when there are no people. The Yellowstone park rangers offer an exploring program in order to help visitors get the best out of Yellowstone. These programs are intended to get everyone an in-depth adventure at the park, offering help in walks and cruises, wildlife watching, sky observation and more. The park’s official website provides an insight into the upcoming events so that you can choose the ones the interest you the most. Did you know that you can go fishing at Yellowstone’s lakes? The National park Service offers fly fishing opportunities at Yellowstone, where you’ll be able to learn more about the park’s fish populations through the catch-and-release program. Moreover, if you want to have more fun, other than fishing, then make sure to experience the Yellowstone lakes’ canoes, kayaks, and boating, where you’ll have loads of fun. If you’re a fan of old and rustic architecture, then make sure to visit the Old Faithful Inn. The Inn was built by architect Robert C. Reamer and opened to the public in 1904. The design of the Inn has been known to introduce the old, rustic architecture across the US. The walking tour of the inn is free, and you can take as much time as you want to observe and study the design, as well as hear about the way life was at Yellowstone in the last century.